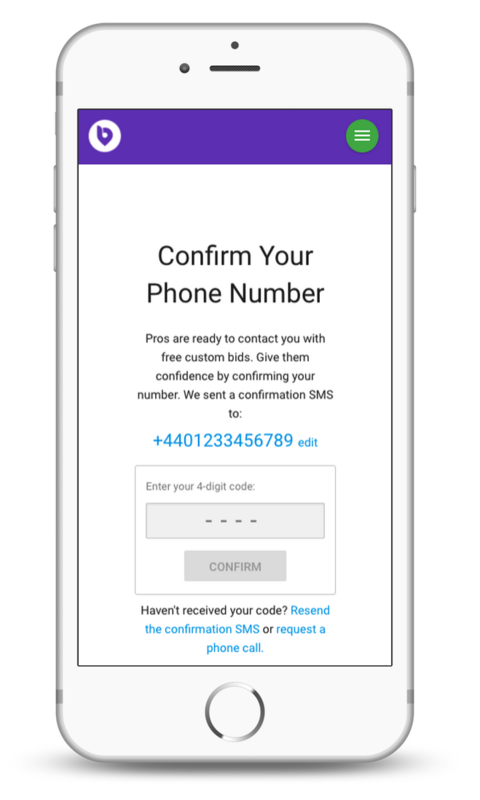 With all requests on Bidvine, customers have the option of including their phone number so that they can be called by bidding professionals. Any customer that wishes to be contacted by phone must first verify their phone number. This involves the customer entering a four-digit code that we SMS to them. This means that every phone number you reveal on Bidvine will be verified. If the customer has opted to provide their phone number, this information will be displayed after you bid and you will be prompted to reveal it. As a reminder, for requests where the phone number isn’t included, if your bid goes unviewed for 4 days, your credits will be auto-refunded back into your account. This is another way we work to maximise your marketing budget.